Richard F. Lawson, age 87, of Rapid River, MI, passed away Thursday morning, November 22, 2018 at OSF St. Francis Hospital in Escanaba. He was born of December 17, 1930 in Chicago, IL, the son of Eugene and Signe (Larson) Lawson. Richard grew up in Chicago and was a 1948 graduate of Schurz High School in Chicago, IL. Following graduation, he was employed for Temple Steel in Chicago as a tool and die maker in the manufacturing business until his retirement. Richard relocated to Rapid River to enjoy the peace and tranquility the Upper Peninsula had to offer. He worked for Pisces Fish Machinery in Gladstone and also worked briefly for the Gladstone Golf Club. Richard enjoyed golfing, the outdoors, and was a member of the Gladstone Golf Club. 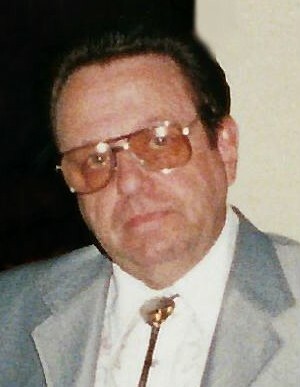 Richard F. Lawson is survived by son, Donn (Marsha) Lawson of Sand Coulee, MT; three grandchildren; and three great-grandchildren. In addition to his parents, Richard was preceded in death by his son, Kenn Lawson in 2013. Private services were held at the Anderson Funeral Home.